Tank 2008: Roam around an army base shooting almost anything, including trees. It's fun and simple, just hold down the mouse and FIRE! Tanks-Original: Fight in deserts, icy mountains, or lush forests. Choose from a-bombs, shields, rolling explosives, missiles, or hot showers, (like 10 a-bombs at once) to load into your tank and fire at one to four enemies. It's a classic tank game! So fun, you can't get your finger off the trigger. Presidential Paintball: Fight of the candidates. Choose between Obama, Hillary,& McCain. Get loaded up and earn your place as president, if you shoot everybody enough. One of the best parts about this game, is the fact you can finally paint the white house with a gun. Hahaha, have fun! Industructo Tank: Indestructible, is the key word here. No cheat, no code, no nothing. How do you play? 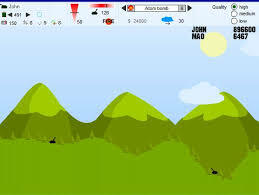 The air enemies drop bombs and missiles on you. Simply all you have to do is get right under the explosives and let them explode on you. 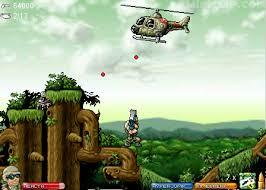 By doing this you get shot up into the air and ram all the helicopters, bombers, fighters, etc. You even can run over any people who eject out, who's goal is to try and save their pity lives. This site, highly recommends this action packed game. 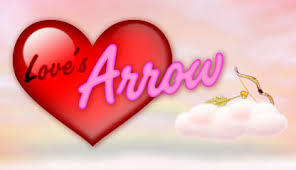 Love's Arrow: The opposite of bloody, crippled people. Instead shoot sad, lonely people with cupids arrow and make them happy and full of life. It's so weird, it makes you want to play over and over. Dirk-Valentine: You are (apparently) a Nazi and you are trying to make your way through the Fortress of Steam. With your trusty chain gun at your side (to get up high places and to kill things) and your knowledge of war, you will make a fight to the end! This is a action-packed game and recommended by 21centurygames. Final Fortress: You start out with a giant gun and shoot whatever comes your stinking way. That's not all though, throughout the game you can by grenade launchers, mines, machine guns, and more. I personally, like to become a world power and bye so many of everything. Rocket Man: It's like a RPG missile that hovers right in front of you, then quickly comes down on you and blows you up. You, yes you control where the missile goes. Your mission is to blow up the other person. However you need to maneuver through place to get to him, and you have a time limit to. This is hilarious and good for anybody who is mad and wants to kill someone. Heli Attack 3: As a military strong man, you must kill everything, it's part of your nature. 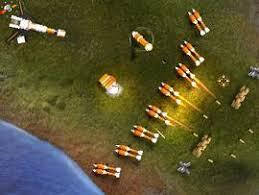 Shoot down tons of things, using multiple weapons. Hey, you may even take out a worm! Heh,LOL! Dogfight: Awesome, is the only word to describe this game. Shoot planes out of the sky and at the end, destroy the Hindenburg. 21CenturyGames highly recommends this 19 century game. 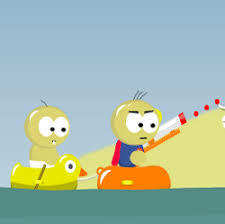 Raft Wars: This means war, take down the enemy by shooting them with balls, rockets, or grenades in your raft, with your baby sidekick. This is way better than some stupid stick-figure firing little bullets at people in water. Oh, enough talk, play now! Commando 1: Be a so called "hero" in Europe, by killing the enemy with grenades, guns, swords, and a bunch of other stuff. Have fun, don't die! Commando 2: Your so called "hero" is back, but not in Europe, but Asia, killing lots of enemies with more artillery, more missions, and more enemies. Can you save yet another continent? Try to in Commando 2. Defend Your Castle 1: Defending a castle is simpler than history might have led you to believe. Use your invisible cursor to throw the barbarians siegeing your castle high into the air, so they can fall a bloody death. Upgrade your walls, buildings and units to fight back against the ever growing wave of barbarians in the classic game, Defend Your Castle.